Another banner year for board games brought us dozens of remarkable projects that meld art, design, and strategic depth to bring friends and families together around the table. From ancient Japan to the Wild West and out into the depths of space, this year’s best releases offer options for veterans and newcomers alike. In previous years, this article has offered separate sections for traditional tabletop games and role-playing releases. This year, the latter has been split off for ease of reading. Feel free to click over into our list of the Best Role-Playing Releases of 2018 after you’re done here. In the sphere of board, card, and miniature games, this year offered no shortage of excellent products, exhibiting the ongoing innovation and flexibility that has characterized the tabletop world in recent years. Below, you’ll find ten selections that represent some of the most fun and engaging products that hit shelves in 2018. If you’d like, you can also click over into lists from previous years, with our selections from 2017, 2016, 2015, 2014, 2013, and 2012. Entries below are listed alphabetically. Where available, you can find links in many entries to more extensive write-ups from throughout the year. 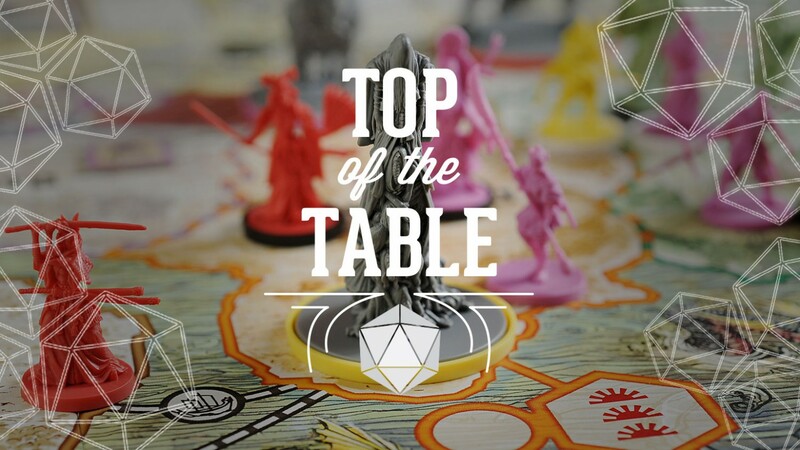 When you’re done, make sure and share some of your favorite tabletop games from 2018 in the comments. Betrayal at House on the Hill has entertained gamers for years, as players work together to plunder a haunted mansion until one of you turns traitor. The new legacy game replicates that conceit, but extends the story across generations of families that return to the same perilous locale. As the centuries pass, new horrors reflect historical fears, and your personal and unique stories and artifacts come back to haunt you. This new twist on the familiar game wins points for ease of entry. New players will be surprised at the simplicity of play in the first session, and potentially surprised at how little info you have as the game begins. How do I win? Why are we here? The game does a phenomenal job of relaying that and other info as the sessions unfold, gradually unwrapping a mystery that you’ll be eager to resolve. Like most legacy games, the important thing here is that you should really play with the same group throughout the many sessions. 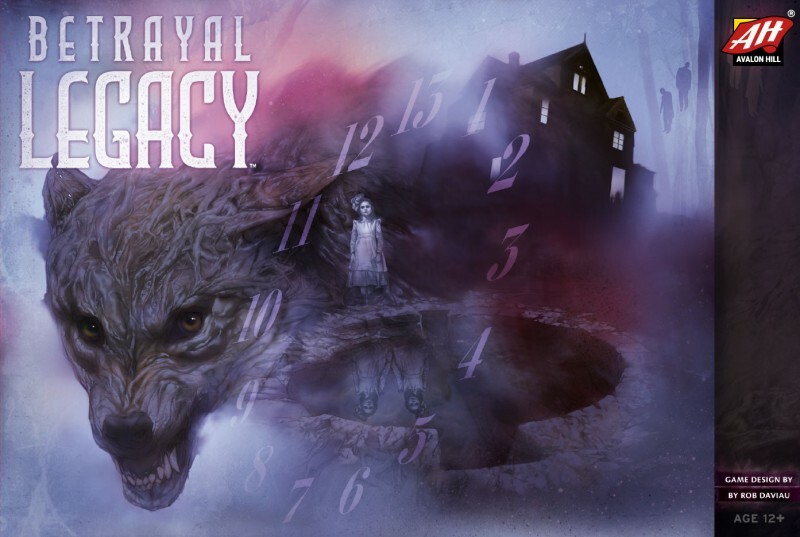 If you have that kind of consistent gathering, Betrayal Legacy offers many hours of intrigue and supernatural fun. 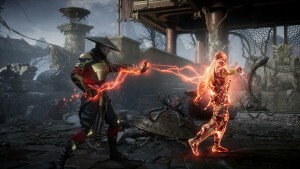 To learn more, you can read our interview with the game’s lead designer, Rob Daviau. Combining innovative board-game mechanics with a real-world online database, Detective seamlessly integrates digital elements into play. As the web of clues broadens in each case, players must connect the dots, even if they don’t have the full picture. Immersive in a way few other board games have managed, the thought-provoking gameplay creates the illusion of real police work. While Detective is a board game at heart, the integrated online database makes you feel like you’re surreptitiously logging into the FBI’s records to mine for clues. That same online tool ends each session with a quiz that determines how effective you’ve been in your investigations. Whether through character bios or narrative sequences in the online database, Detective playfully integrates familiar tropes of detective fiction, like rainy nights and frustrating red herring clues. 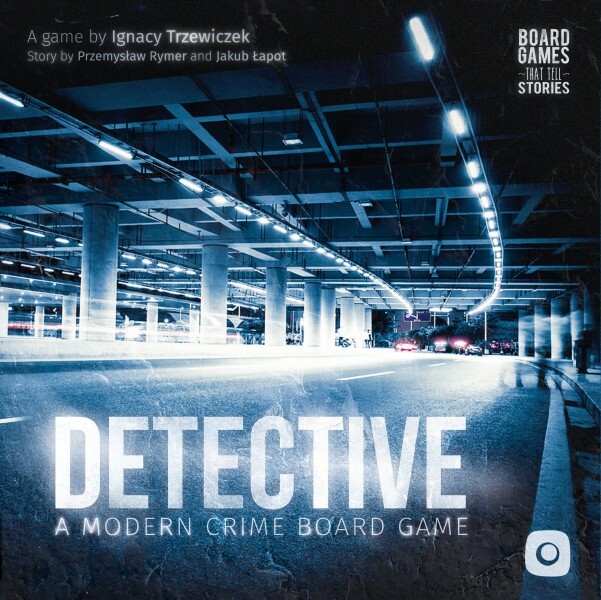 This isn’t a party game for a crazy night with friends; instead, dive into Detective when you want an immersive evening of critical thinking and cooperation. To learn more, read our complete review. Children of the ’80s may recall the original Fireball Island, which found players rolling a marble down the 3D board to knock their friends off. The remake maintains the fun premise, but layers on modern design and components, reinvigorating the beloved game for a new generation with brisk playtime and playful presentation. 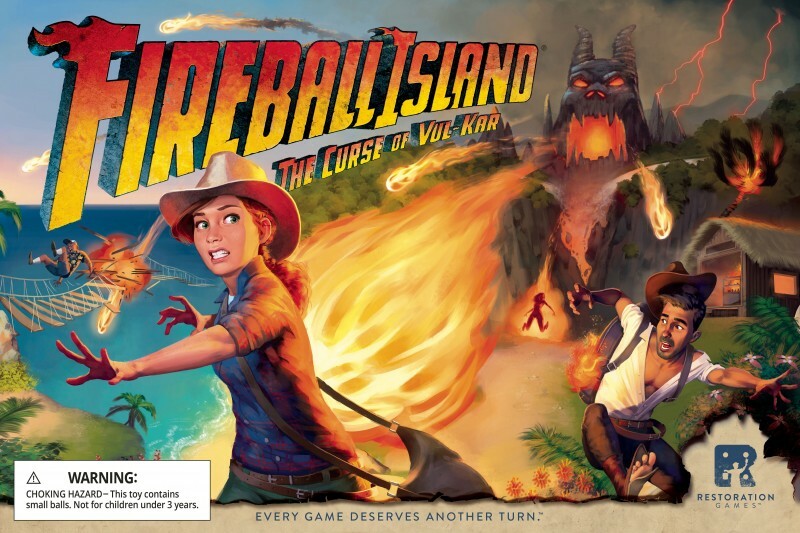 Fireball Island is that rare project that should appeal to almost any player group. Set it up with the kids in your family, and their eyes will light up the same way that kids from the ‘80s would with the original. 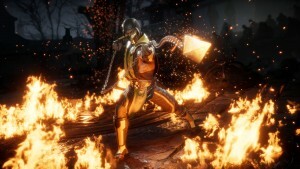 But even experienced gaming groups will be happy with the throwback aesthetics, simple but lightly strategic gameplay, and awesome physical components. At the end of the day, it’s hard to beat those clacking marbles as they knock your foolish tourist characters off their precarious perches around the island. You are the seventh generation on your deep space colony ship, and things are going very wrong. In this story-focused game, players work to survive one new disaster after the next, using each character’s unique capabilities to confront the unknown. 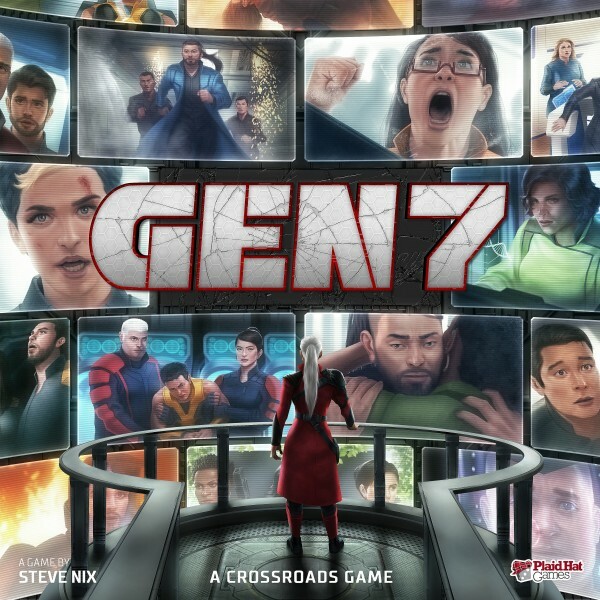 Characterized by seemingly impossible decisions, Gen7 draws players into its tense narrative with innovative gameplay and smart writing. 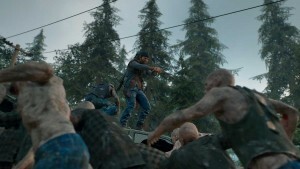 While the setting is entirely different, Gen7 is the spiritual successor to Dead of Winter, a zombie-themed survival game that won tremendous praise back in 2014, including a mention on this list from that year. Like that game, Gen7 succeeds because of its branching narrative and complex moral and ethical choices, which often put players in tense showdowns about how to best proceed and save the ship from a mysterious threat. 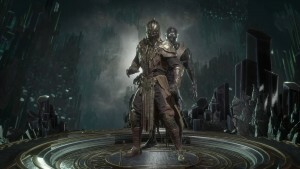 Perhaps the most intriguing element of the game is its replayability; after playing through the full campaign, a second run might yield a dramatically different story. Many shy away from card duelers because of the implied investment in both time and money. Richard Garfield, the creator of Magic: The Gathering, brings us this new twist and remedy to the dilemma. Each deck comes as a complete and fixed named set, one of billions of potential possibilities. The quick-playing, combo-focused play is rewarding to learn and deeply challenging to master. When they first hear about this idea, many players balk and doubt. “Sure, they say each deck is different, but it’s probably all an illusion.” It’s not. While similarities are certainly present, the game’s something of a technological marvel, with what I can only assume is a relatively complex algorithm that spits out meaningful decks that will combo well with themselves. The result is the type of strategic card dueling that you’d expect out of a CCG, but without the bother of having to customize and buy individual cards to get a good set. For some players, that customization is why they love card gaming, and Keyforge won’t be for them. 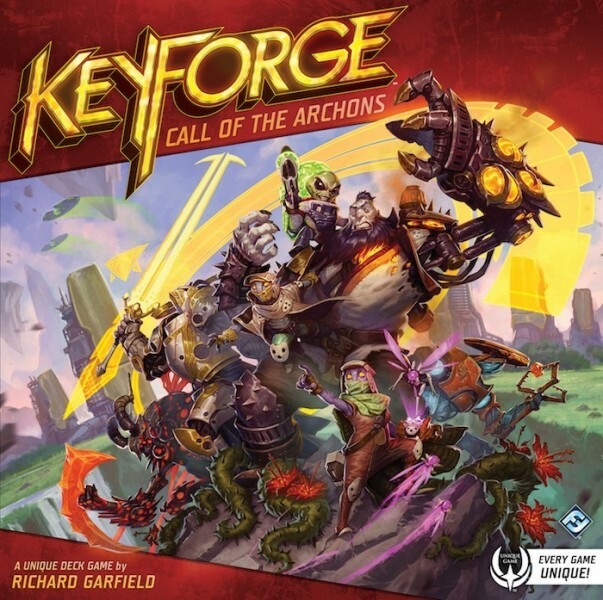 For other players who enjoy the actual gameplay of card duelers far more than the surrounding work to get into a game, Keyforge’s unique deck system can be a game changer. The environmental overtones of this game are abundant, but it’s the elegant play that wins accolades. Players build their own coral reef from colorful, stackable pieces, and score points for creating particular configurations. Learning the rules takes minutes, and is welcoming to all ages. Don’t be fooled by the colorful aesthetic; this is an engaging challenge for players of any skill level. 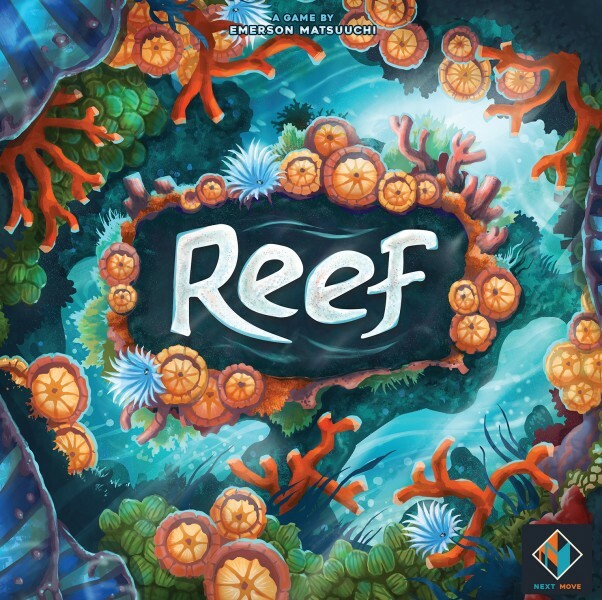 While it doesn’t aim to compete with larger and more expensive games for table impression, Reef’s delightful shaped pieces and unique theme invites players in who might not otherwise be interested in the wars and sci-fi concepts of many board games. Elegant design, smartly and succinctly written rules, and an unusual idea can take a game a long way to success, and Reef has all three. The breathtaking art and miniatures may be the thing that catches your eye, but it’s the manifold strategic choices that make Rising Sun an instant classic. 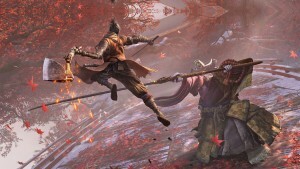 Lead your clan to victory across a mythological feudal Japan, where honor must be satisfied as you wage war, forge alliances, and summon legendary monsters. Innovative turns and action options are sure to impress experienced player groups. While the setting and theme is entirely different, Rising Sun comes from the same design/art leads that brought us Blood Rage back in 2015, which saw Viking clans battling it out as Ragnarok descended. Rising Sun maintains the same commitment to mechanics that reinforce theme, but the Japanese aesthetic has a particular beauty that is especially striking. This is a big, deep, and rewarding game that will find its best home with players who embrace epic board games. Even so, I think many players will be surprised at the ease of play and intuitive turn structure. 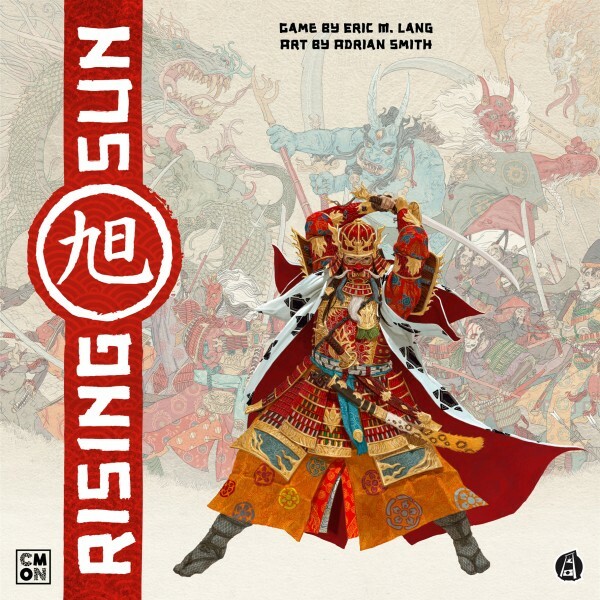 Get more detail on Rising Sun in our full article. 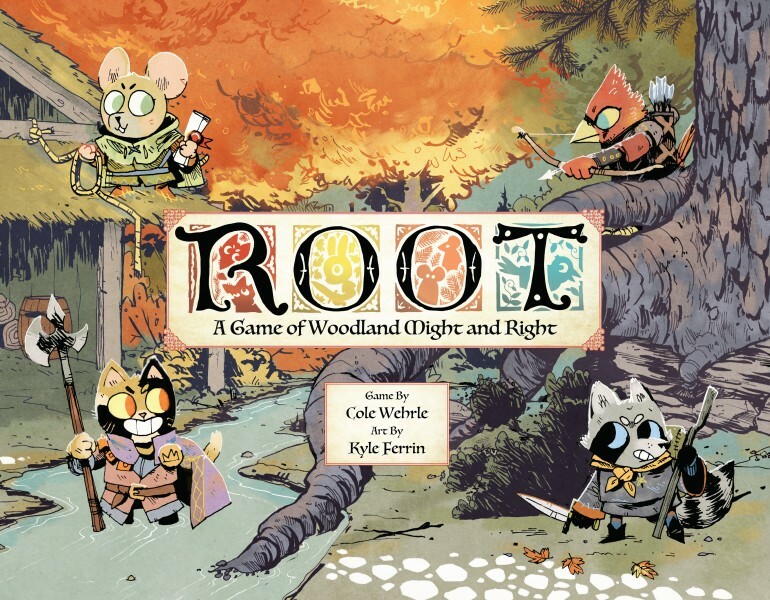 Marvelous asymmetric design takes center stage in Root, in which equal but drastically different factions of anthropomorphized animals battle to seize control of the forest. 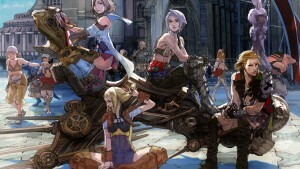 The cute characters belie a ferocious war game in which each faction must capitalize on their unique strengths. Cute yet cutthroat, Root will impress longtime gamers through depth and flexibility. Root features four distinct factions, and each one plays different from the last. The Marquise de Cat has vast resources and military dominance. At the other end of the spectrum, the Vagabond is single character who scores by helping or hurting other factions. 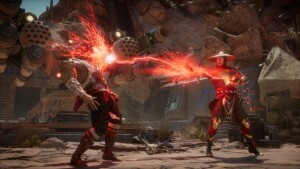 The fact that players of such dramatically different playstyles can both have a good shot at winning speaks to the intricate balance at play, and layers on replayability that is hard to match. Families can’t go wrong with this delightful fantasy about stuffed animals who must save their beloved little girl from an evil mastermind. The pages of the adventure book serve as the actual board, with each page a new story to explore. Everyone cooperates to win, sharing stuffing after the baddies knock it out, even as the narrative beats quietly echo the milestones and trials of actual childhood. Stuffed Fables comes from designer Jerry Hawthorne, the same mind that brought us another fantastic family game called Mice & Mystics. 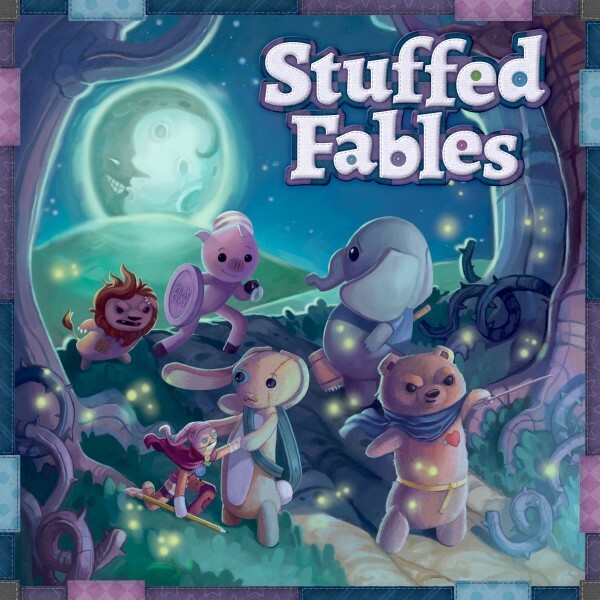 Stuffed Fables shares the spark of that game, but the story book concept offers an ease of play and quick set up that is immensely appealing. To read more about how this is one of the best kid-friendly games on the market, and learn about other great games to share with kids in your life, check out these selections. It’s a good year for open-world cowboy exploits. 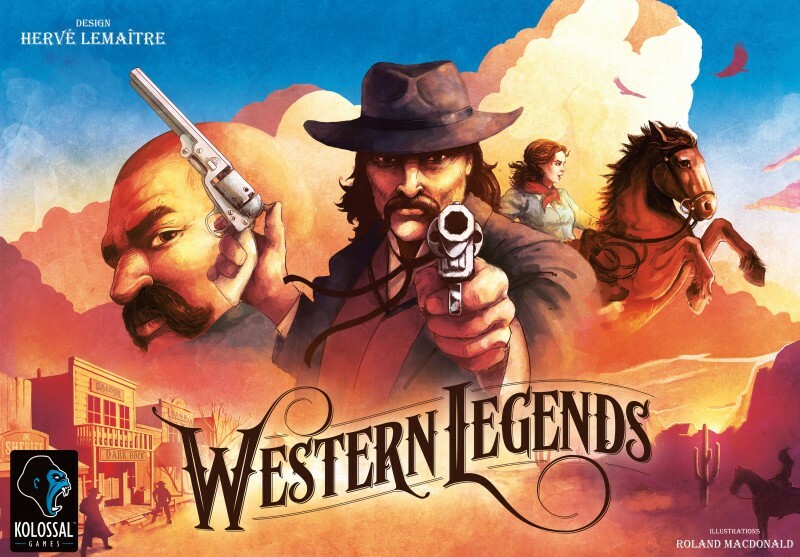 In the board-gaming world, Western Legends puts you in the shoes of a fabled gunslinger like Annie Oakley or Billy the Kid, and sets you loose to make your fortune. Rob the bank, or win a hand of poker. Rustle cattle, or hunt down outlaws. The breadth of activities is impressive, and victory is possible on either side of the law. Western Legends features some beautiful art, great components, and an appealing table setup. 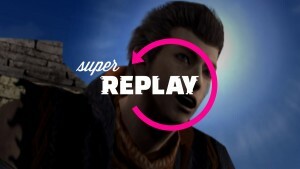 However, it’s the give and take between law and outlaw that gives the game its replayability and frequent moments of emergent surprise. While other board games have tapped the Western theme, I’ve yet to encounter one that so ably draws on so much of the Old West mystique from so many angles. Read our complete evaluation to learn more. It’s been an awesome year for tabletop games, and now more than ever, publishers are competing to draw new and lapsed players back into the fold with accessible rules, innovative mechanics, and appealing themes. Any of this year’s selections can offer hours and hours of fun, but if you don’t see what you’re looking for, try clicking into the Top of the Table hub from the banner below for additional ideas. Or, if you like, I’m always happy to field emails from gamers looking for the next great project to bring to their table. Drop me a line and let me know what you’re looking for! 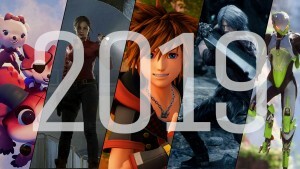 And happy gaming in 2019!